Recycle pallets also to declutter your interior environments! One can build extra smart wooden organizers out of pallets to organize better the personal possessions and custom home accessories! Explore a big list of pallet-made organizer on our site see how to make amazing storage units and wall organizers with pallets including the walk-in closets, shoes racks and hall trees! This time we are with this easy-to-make DIY pallet wall organizer that comes with custom hooks, shelves and hanging storage boxes! Floor up a set of well sanded and equal cut pallet slats with a little spacing among them! 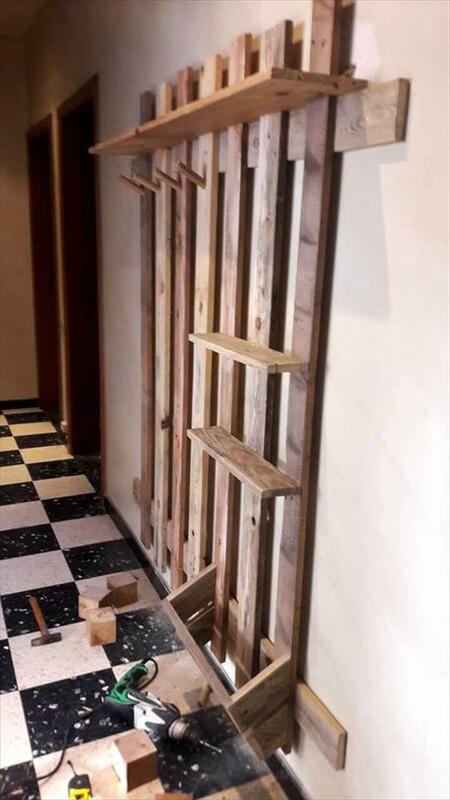 Install the back braces and get the whole wooden background wall for the wall organizer! 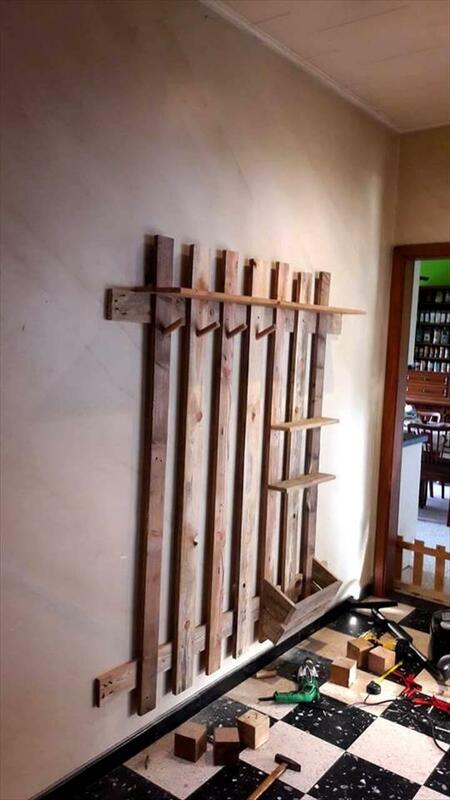 Now add custom cut pallet planks as shelves to top side, a box to bottom side that can be made with pallet wood remains and set of custom wooden hooks for hanging needs! Finally, install the hardware and mount it on the targeted wall area to serve! 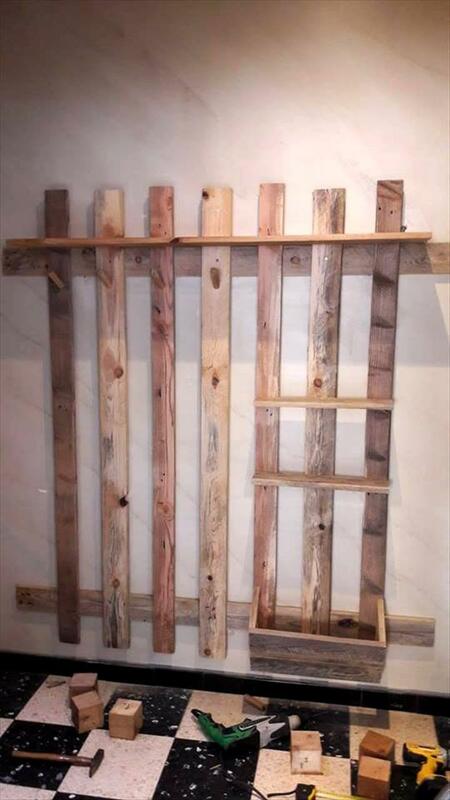 Remove the pallet chocks and dices and use the remaining pallet slats to build this very functional wall organizer! This wall organizer has been divided into custom shelving and hanging section and hence comes with wooden hooks, shelves and also with a storage box! The most challenging task would the wall installation of entire wooden organizer! But using perfect hardware and power tools will all make it easy!